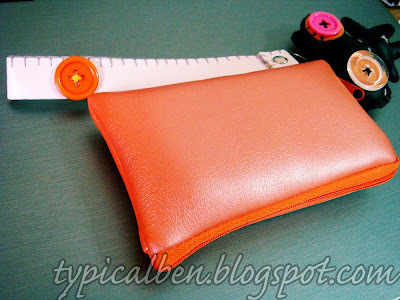 Guess what's inside my orange pouch? I'm sure you guys can't get it right one lor! Okay, if you don't know me well.. I'm someone who really goes for the design and outlook instead of the functions. But obviously the functions must not be that bad also lah! So although my previous sony camera is still working really well, when I came across the review of this camera on some magazine, I've already got the urge to buy it! CAUSE IT LOOKS NICE WHAT!!!! I guess I'll let ran use my previous camera for the meantime cause he needs a digital cam for most of his projects he's doing on and when he got the money to buy the camera that he wants, then I might sell it away. Show you guys one more picture! 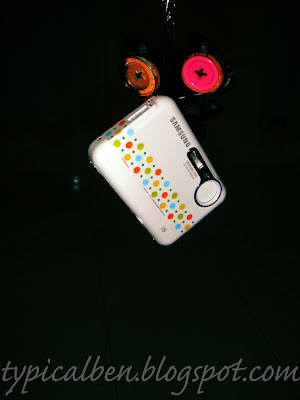 I love those polka dots!!!! 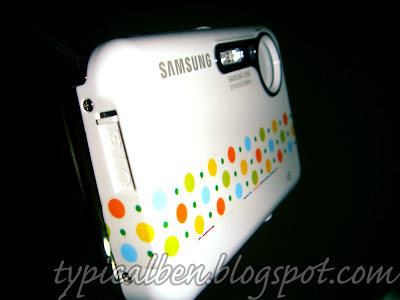 I had a really hard time finding orange polka dots with white background to be skinned on my camera, as I've tried asking around almost all the gadget wrapping company and all of them doesn't have that. I think they should have it man!!! 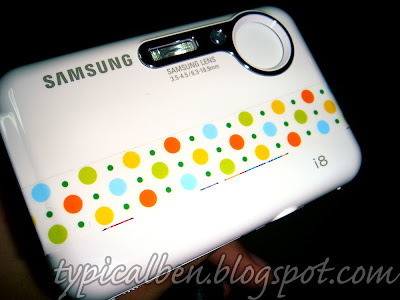 So since I couldn't find it, I went around searching for polka dots design to be skinned on my camera and thus I found one (which is now skinned onto my camera) and looks pretty alright, though it's a mixture of colours of polka dots. But the overall feel is still not that bad right?